I have been busy! I got my stuff sent off for my whimsy swap which was well received by my partner which was the most important thing to me! I do also secretly hold out hope to win the overall contest for the best container but even if I lose I am more than okay with it because the most important thing is that my swap partner was really pleased with it and so appreciative! A lot of times you do a swap and people say thank you (although twice I have had partners who didn’t even say thanks or post pics of what they got) but you might wonder if they’re just being nice. 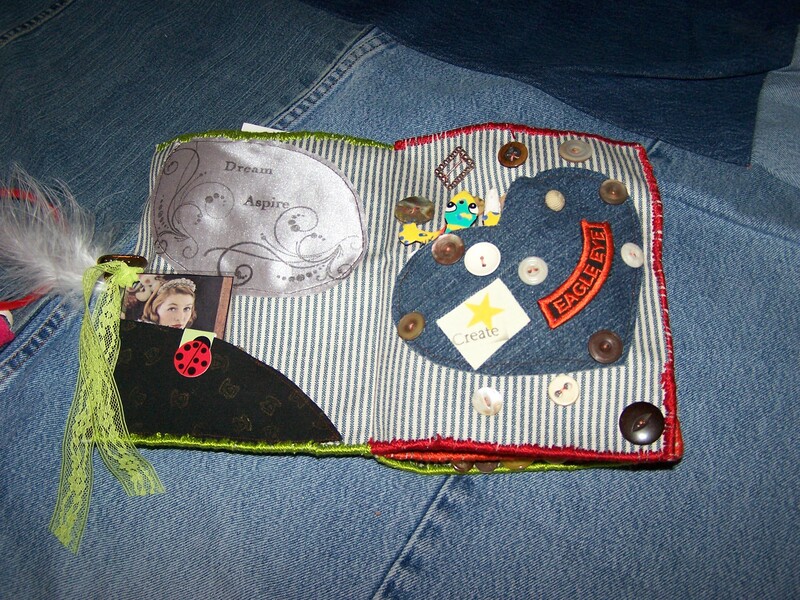 Mamaphunk however sent such a nice private message thank you to me and I know she really appreciated the work I put in and could see I tried really hard to make her a package she would be over the moon to receive (and she was!). So I feel pretty good about it and knowing she’s happy is what mattered most to me though I was really pleased everyone else seemed to like my stuff too (I got a bunch of nice comments on it and even someone who wants to do a personal swap with me!). 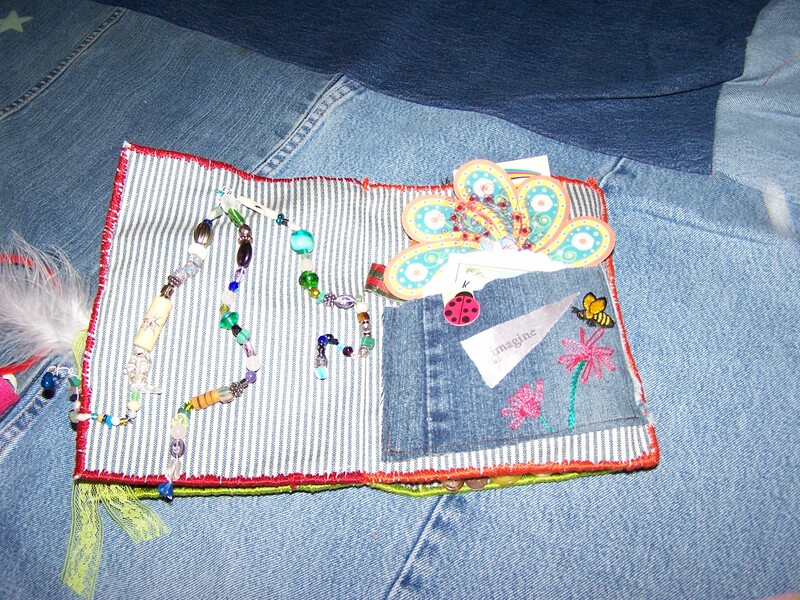 I am really excited to do a personal swap, I love getting presents in the mail and I haven’t done any personal swaps on craftster yet. To boot this particular Swapper lives not too far away from me! 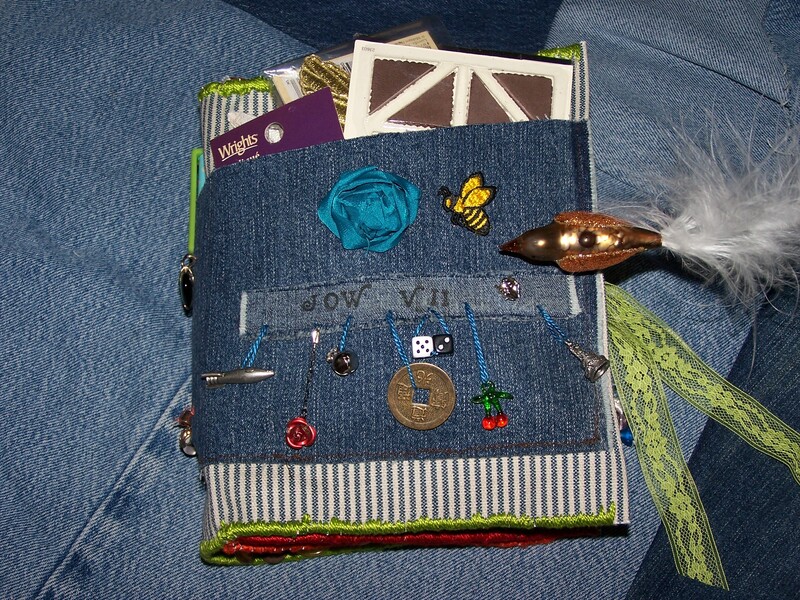 Here is the other container I included in the Whimsy Swap, it is a book of whimsies which has pockets to hold whimsies and lots of whimsies sewn on individually, they can be clipped off as needed and the rest of the whimsies should stay put. It makes it nice I thought because it helps display and keep the whimsies organized until you want them. 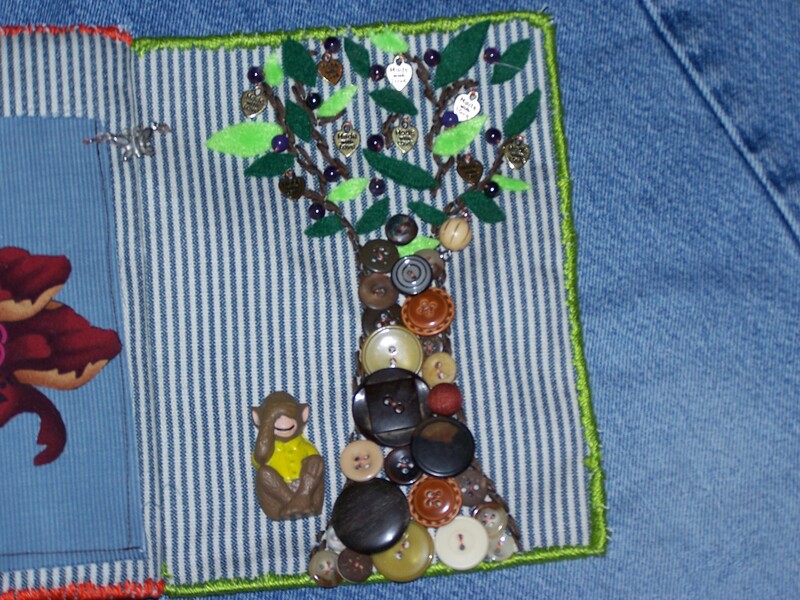 And after cutting off the Whimsies you still have pockets and some decorations like the Whimsy tree was embroidered on the outline so even if you clip off all the buttons and the beads and hearts in the leaves the outline of the tree and the green felt leaves will still be there as will the pockets so you can still use the fabric book even after you take all the whimsies out. 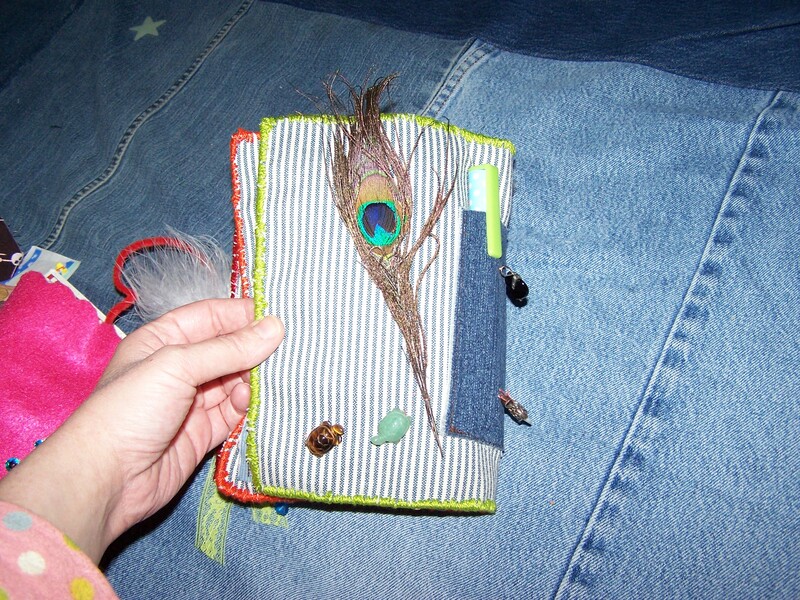 Previous What you can do with the smallest ordinary things! Next My Kingdom for a bowl!